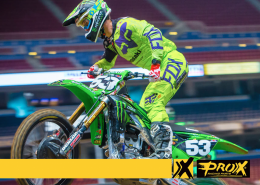 Corona, Calif. (April 18, 2016) – The Monster Energy/Pro Circuit/Kawasaki team arrived at The Dome at America’s Center in St. Louis looking to advance in the Eastern Regional 250SX Championship point standings. 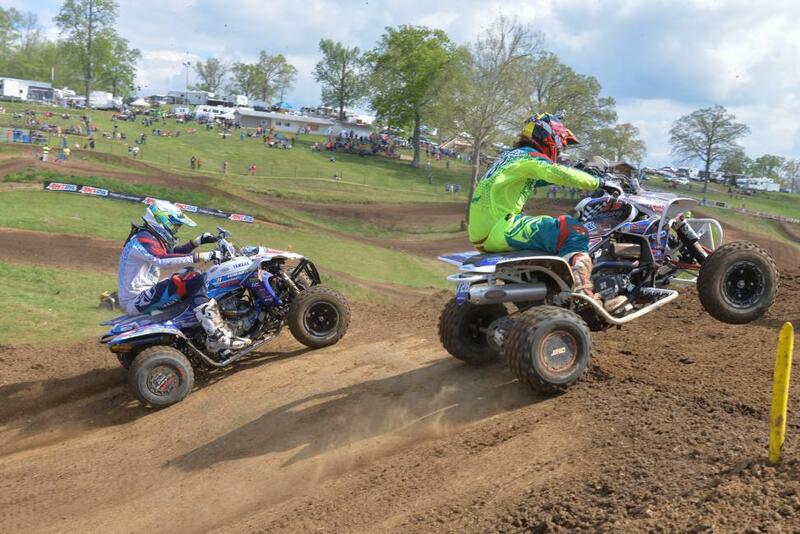 Wasting no time,Tyler Bowers and Gannon Audette quickly set the tone for the day during qualifying. 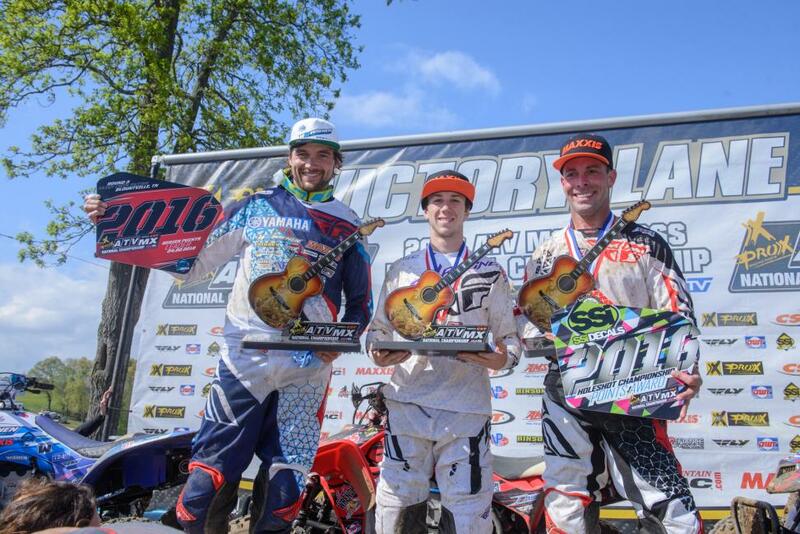 Tyler logged the fastest lap in early morning qualifying and both riders found themselves advancing to the Main Event. The evening would end with Gannon finishing in 5th and Tyler in 9th. Finishing qualifying with the fastest lap time, Tyler Bowers quickly advanced to the evening’s Main Event. 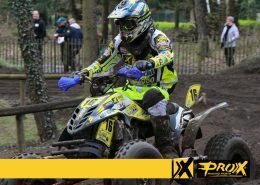 In the final race, a collision with another rider would set him back a few positions. Tyler finished his night in 9th place and remains in 5th in the point standings. 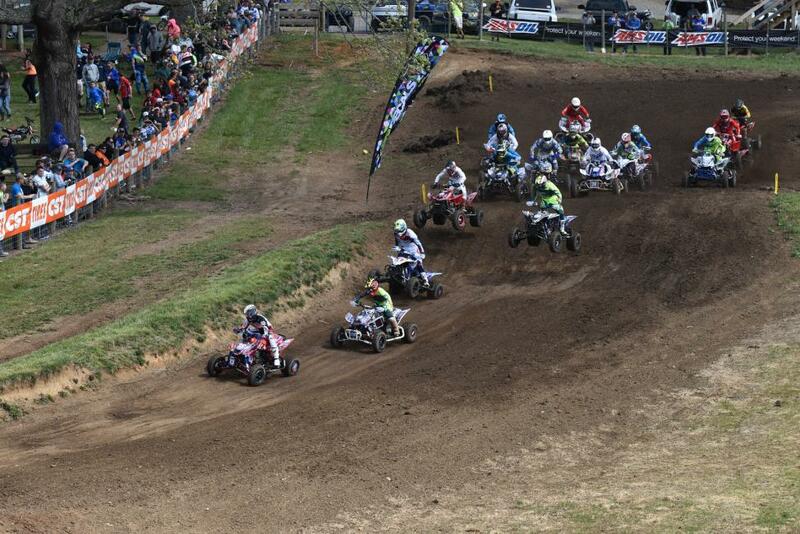 In the St. Louis Main Event, Gannon Audette nearly took the holeshot aboard his KX250F. Continuing to rely on his speed, he pushed himself throughout the entire night to remain at the front of the pack. 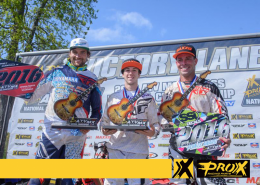 After falling behind due to an entanglement with another rider, he quickly began climbing his way back to the top. 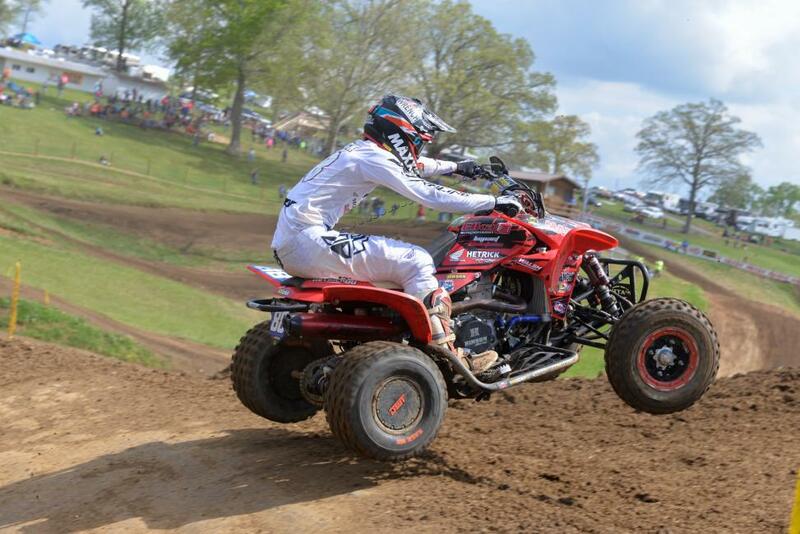 Finishing strong, Gannon Audette placed 5th in the Main and now resides in 6th in the point standings. 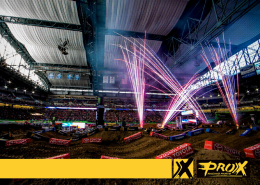 Corona, Calif. (March 9, 2016) – The Monster Energy/Pro Circuit/Kawasaki Team makes their way up to Roger Center in Toronto for Round 3 in the Eastern Regional 250SX Championship. 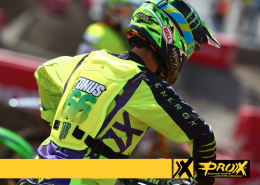 We can expect both Tyler Bowers and Arnaud Tonus to come out hungry and determined to land on that podium this weekend in Canada. Tyler Bowers looked to improve off of Round 2 and started with a solid run in his heat to advance into the main, where he was able to get in good positioning out of the gate and stay within the top 10 group, crossing the checkered flag in the #9 spot. 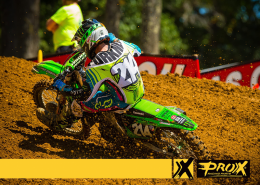 While Bowers is currently in 6th place for the Eastern Regional Point Standings, the Monster Energy/Pro Circuit/Kawasaki Team is in the business of winning races, and that is what Bowers is looking to do to move his way up the chart. He is excited for Toronto as he’s been conditioning hard all week to feel ready to set the tone and pace in Round 3. Arnaud Tonus had a much improved performance from the prior rounds, qualifying into the main after a hard-fought heat race. 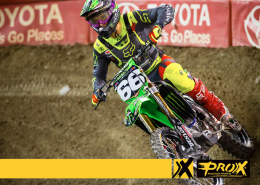 To start the main, Tonus would get out of the gate in 12th, but began pushing the tempo to pass several riders over the 15-laps stretch, to finish in 6th at Daytona. Arnaud Tonus currently sits in 9th place for the Eastern Point Standings and is looking to continue putting in work throughout this week to win in Toronto this Saturday, improving his stance in the points race.